Epson is a global brand with a broad and rapidly expanding range of IT/ Electronics components and consumer products. 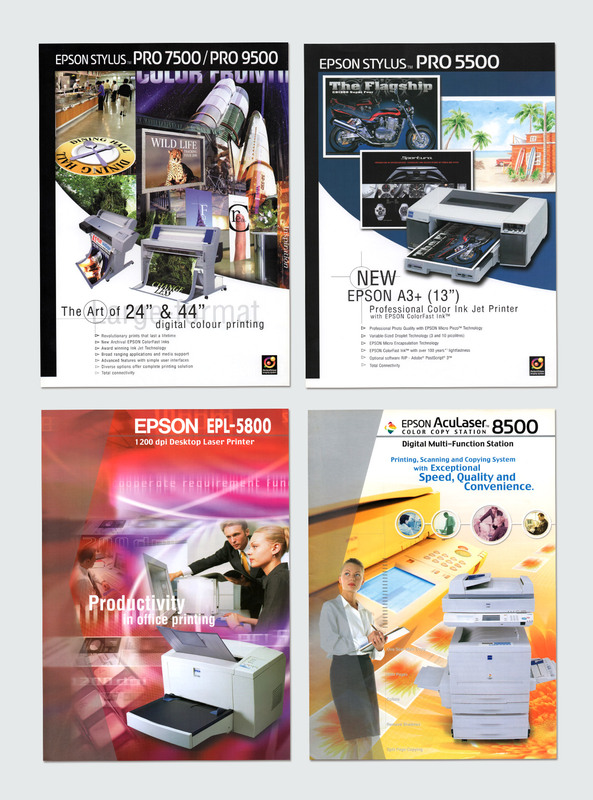 For many years, we worked closely with Epson Singapore in the localization of its marketing collateral for the regional market. From digital cameras, large-scale plotters, scanners to printers, we worked within varied specs, delivering thematic product brochures on time, everytime.